India is the second most populated country in the world with approximately 1.2 billion citizens. The country has a rich and storied history that captivates people from around the world. As such, India is steadily growing as a tourist destination. 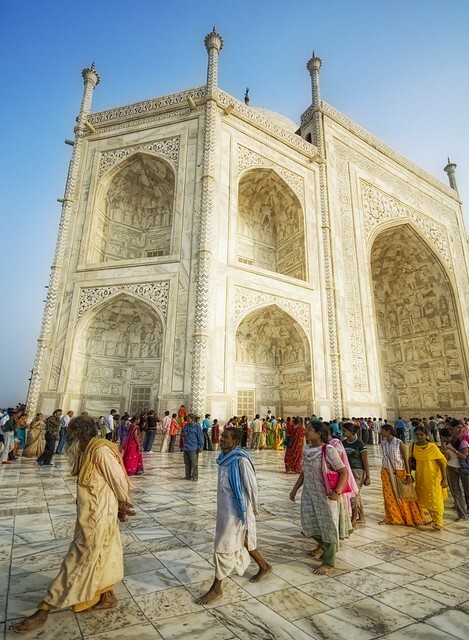 Both citizens and foreign visitors flock to India’s most popular landmarks every year. One cannot think of tourist spots in India without considering the Taj Mahal. With nearly 4 million tourists arriving at the Taj Mahal every year, it is considered to be the most visited attractoin in the country. Built between 1632-1653 in honor of Mumtaz Mahal, the wife of the Mogul Emporer Shah Jahan, the Taj Mahal is often listed as one of the Wonders of the World and is a UNESCO World Heritage Site. Located about six miles from Mumbi, the Elephanta Caves are a group of five Hindu caves and two Buddhist caves that contain intricately carved stone sculptures. Next Story → Sports Bikini That Stays Put! Made locally. Made responsibly.